What Gear Do I Need to Carry in my Day Pack? keep you safe and comfortable on the trail. In addition to carrying your food and supplies, you’ll also want to bring an extra layer of clothing or two, just in case the temperature drops unexpectedly and conditions get a little chillier than expected. This will especially be true the higher you go up the mountain, where the winds will get strong as well. 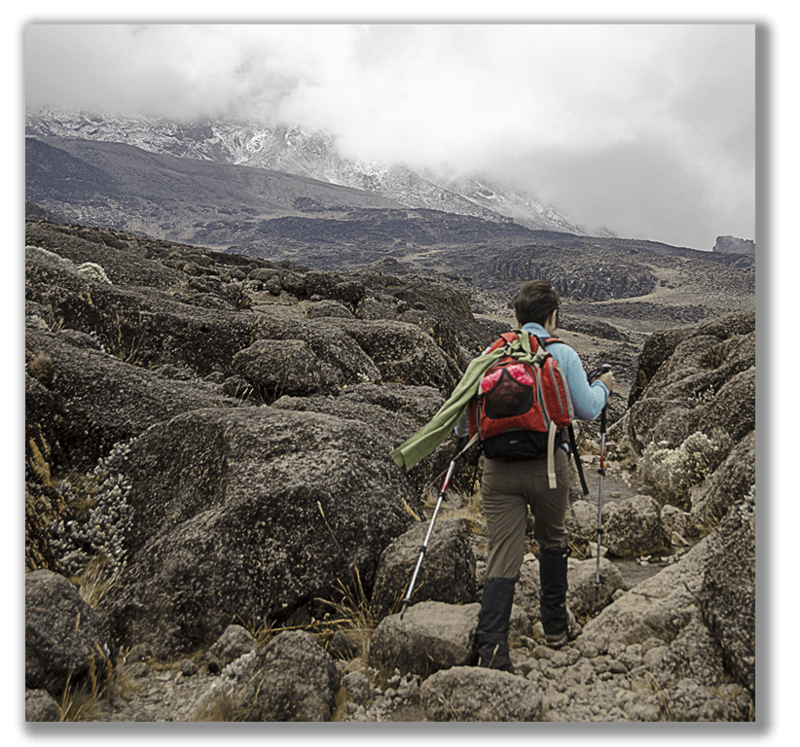 You’ll also want to pack your rain jacket and pants too, as it could potentially rain on Kilimanjaro at just about any time. Other things you’ll want to have in your daypack include camera equipment, gloves, a hat, sunglasses, and a basic first aid kit with any medications you might need along the way. You’ll also want to carry your sunscreen, chapstick, and bug repellant with you too, as well as toilet paper and tissues or a handkerchief. A safety whistle and a headlamp are also good items to keep close at hand too. For the most part, you won’t have to carry a large or particularly heavy backpack while on the mountain. Before setting out each day, consult with your guides to be sure you have everything you’ll need. They’ll know if you should bring a down jacket for instance or if there are other items that they recommend based on the altitude and conditions. They’ll also supply you with your lunch and purified drinking water too.